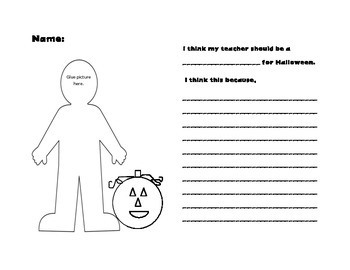 Students can pick a costume for their teacher with this fun template. Simply copy the page with a picture of yourself on the person. Have students decide on a costume and description. My kids loved this activity!